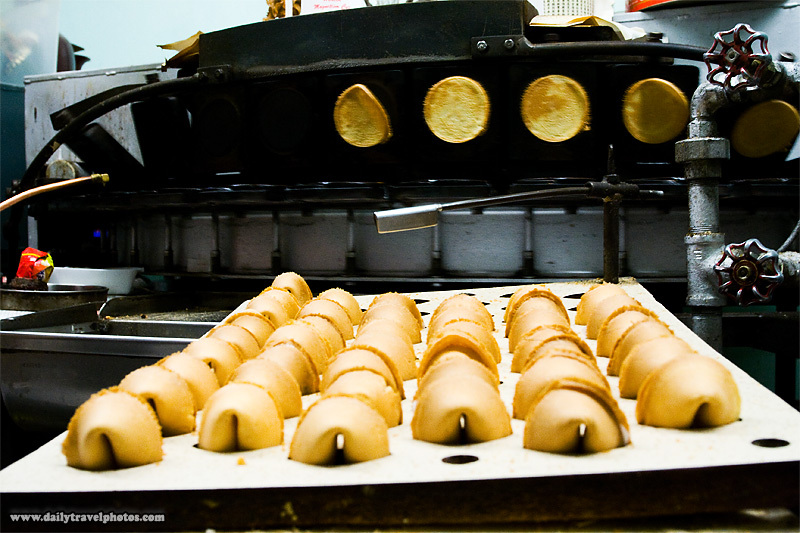 A tray of finished fortune cookies at a fortune cookie factory in Chinatown (ARCHIVED PHOTO - on the weekends). In the background is the revolving cookie template. Fortune cookies begin their lives as flat malleable pancakes which get contorted by an underpaid migrant laborer into a familiar half-moon shape. The fortune is inserted while the laborer twists the cookie into form. 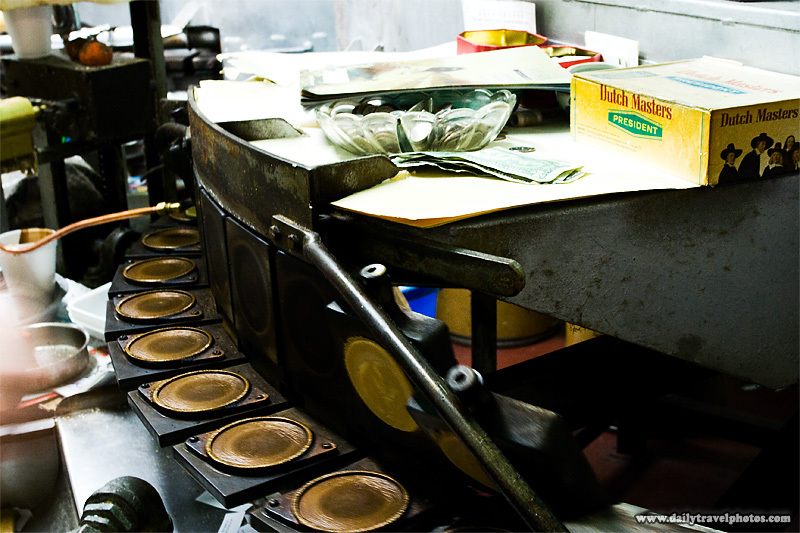 The circular templates of a fortune cookie manufacturing machine (ARCHIVED PHOTO - on the weekends). The bottom portion of the two-sided template clamps upwards (like a shark's mouth) to form a flat malleable pancake.